The Football Association of Wales has signed a new four-year deal with online currency exchange and money transfer platform Conotoxia. Headquartered in Poland, Conotoxia will become the team’s Official Money Partner, in a deal that runs until the end of the 2022 World Cup in Qatar. Conotoxia will work with the Welsh FA and national team on money transfers, payments, currency exchange and Forex, and will be visible during matches and in Welsh FA media activity. The brand will also hold collective image rights to Wales players and staff, allowing it to create marketing campaigns featuring manager Ryan Giggs and stars such as Gareth Bale and Aaron Ramsey. Conotoxia has already made significant partnerships with the Chicago Bulls, the Polish national team, and the Uefa Under-21 Championship, but the Wales deal is the brand’s first sports partnership in the UK. 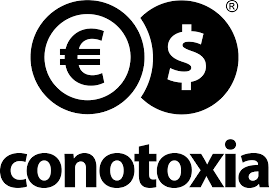 After launching in 2011, Conotoxia has grown rapidly, trading in 26 currencies and surpassing $15bn (€12.82bn) in transactions in the last year alone.